Beekeepers are starting to stir up a hornets nest at the thought of a ‘No Deal Brexit’. Highlighted by the global reports of insect extinction within a century, the role of the much loved bee as being the most prolific of the pollinators, and equally under threat, is thrown into focus. ‘If the bees had the vote they would be emphatic remainers, or at the very least supporters of a customs union with the strength of the European powerhouse to control the excessive use of pesticide,’ claims Simon Cavill, CEO of Bee Good, manufacturers and suppliers of healthy bee products and cosmetics. ‘Europe alone has the muscle to take on the multinationals that totally dominate the agribusiness world and have sponsored some essential research mapping the genome of Honeybees across Europe and creating a gene bank to potentially combat future pests or diseases. The UK would have no leverage to insist on such high standards with other trading partners for our own farmers and food sources – including with the USA, where all the evidence points to the future protection of the pesticide manufacturers as opposed to the protection of the natural ecosystem. This aspect of the Brexit vote is not being debated by the politicians, yet it is in many ways much more important than the short term disruption issues. Quite simply, a failure to ensure we have the infrastructure in place to control the use of pesticides will lead to the catastrophic forecasts set out in the Global Scientific Review,’ adds Simon Cavill. The debate however flows over into the short term agenda too. A No Deal would leave UK cosmetics exporters like Bee Good completely exposed to a revision of new standards, which could disrupt the export market for years. A serious sting not just for the exporter business but also for the tail of a departing Prime Minister. Saving bees is more critical than we realise. But we do care with 1.4 million wildflower seeds and a stampede to invest in the future of bees. © Copyright 2019. 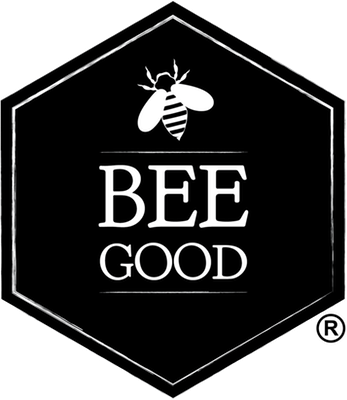 Bee Good Ltd.